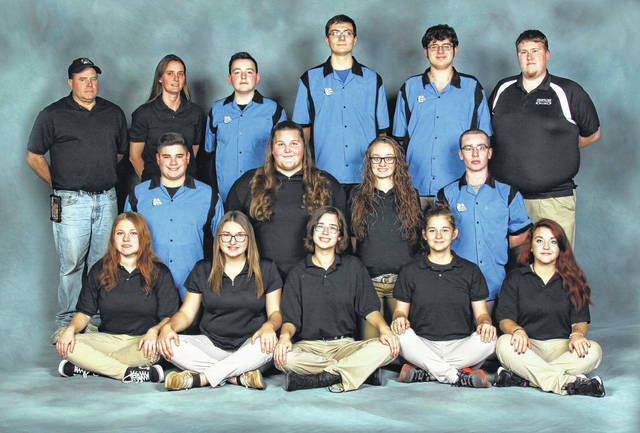 CRESTLINE — The 2017-2018 edition of the Crestline Bulldogs bowling teams will hit the lanes under the leadership of head coach Jeff Teeple and assistant coaches David Woods and Patti Huber. Teeple is beginning his seventh year as the head coach of the ‘Dogs rollers. Although Crestline is part of the Mid-Buckeye Conference in most sports, in the winter the bowling teams are squads without a conference. Last season, the Lady Bulldogs finished at 6-11 while the boys went 8-9 overall. Some familiar faces are back for Teeple and the ‘Dogs, including senior Madison Huber. Huber has advanced to districts two years in a row and is hoping to roll her way to a state berth this winter. On the boys side, Crestline has four returning letterwinners who’s experience creates a promising season on the lanes. Like any other sport, the squads must handle losses due to injury. That is no different for the bowlers from Crestline, as Brennan Risner will miss the ‘17-‘18 campaign. However, Erin McKenna will be in action for her freshmen season. McKenna is just part of the girls team that the head coach claims is “half new girls”. Crestline kicked off their season last Saturday at the Victory Lanes Warmup Tournament in Galion. Both teams took fourth place overall in the six-team field. The boys finished with a 2,411 overall while the Lady ‘Dogs bowled a 2,191.